DAVID LE/Staff photo. 2/25/15. Peabody senior captain Reed Foster (8) celebrates his game-winning-goal in overtime by skating back up ice with teammate Aaron Dollin. 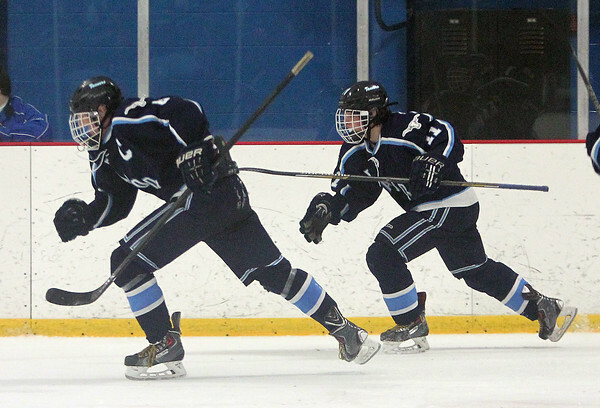 Foster scored on the power play in overtime as the Tanners advanced past Danvers in the first round.